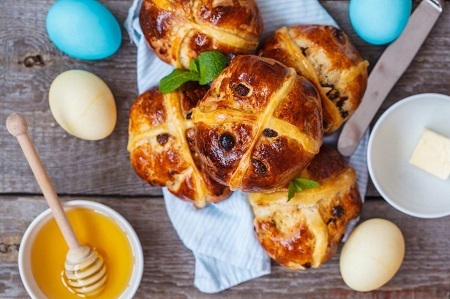 Bring a little Asian fusion into your Easter celebrations with this Yuzu and Honey Hot Cross Buns from Yutaka. Yutaka means ‘good harvest’ in Japanese and that’s exactly the aim of the company: to create authentic Japanese food products made in the traditional way. The yuzu gives them a zesty tang, whilst the honey imparts an additional depth of flavour. I wouldn’t normally blog something as complex as this recipe is but they are so delicious and wonderful I simply couldn’t resist. 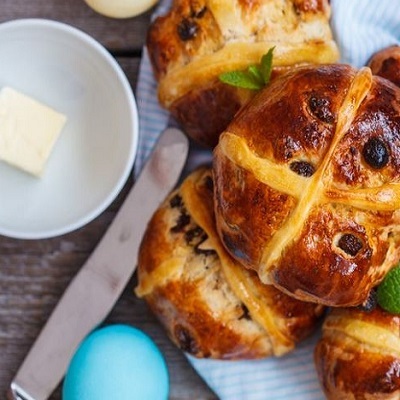 I am not a hot cross bun lover at all but this recipe with some slight tweaks I made was delicious! www.yutaka.london is the UK’s leading Japanese food company with its range of authentic, traditional ingredients that enable you to make everything from sushi to delicious katsu curry in the comfort of your own home. And having visited Yokohama I sure know my katsu curry – you really do need to try it! So let’s get down to making these suckers because if it is your first time you’ll need to take some time.